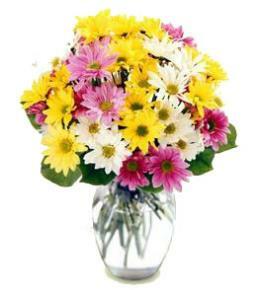 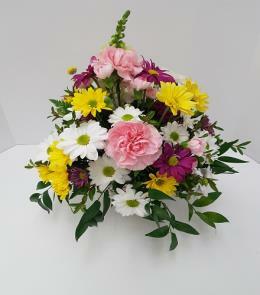 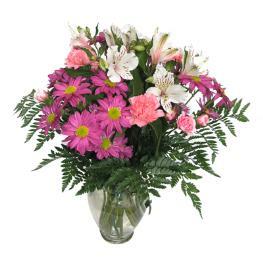 Fresh Flower Arrangement faced one sided design. 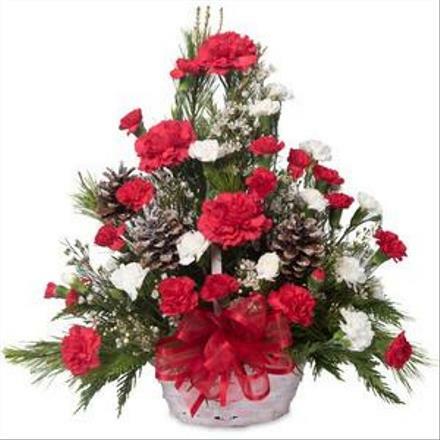 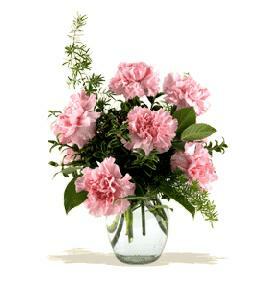 Features carnations, mini carnations, pine cones, and fragrant seasonal greens. 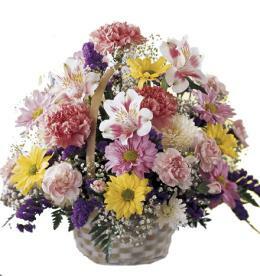 Expertly arranged in a wicker basket with a matching bow. 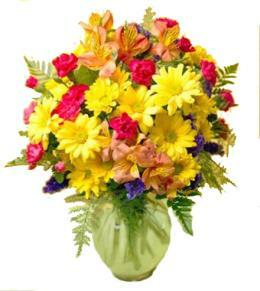 A gift for any occasion this season.